Posted on March 8, 2010 March 8, 2010 by Debito Arudou Ph.D.
Japan was morbidly fascinated by the spectacle of Toyota president Akio Toyoda apologizing to the U.S. Congress for the deadly defects that led to the recall of 10 million of its cars worldwide. The appearance of the “de facto captain of this nation’s manufacturing industry,” as Japan’s largest newspaper referred to Toyoda, seemed to symbolize a new bottom for a nation in decline. Once feared and admired in the West, Japan has stumbled for decades through a series of lackluster leaders and dashed hopes of revival. This year, Japan will be overtaken by China as the world’s second-largest economy. Through it all, though, Japan could cling to one vestige of its former prestige: Toyota—the global gold standard for manufacturing quality. There was some sign of slippage even before the Toyota recalls. Many other top Japanese manufacturing brands lost their made-in-Japan luster, says Michael J. Smitka, an economist who specializes in the Japanese auto sector. Sanyo is gone, its pieces sold off in a restructuring. Toshiba and Fujitsu also are reorganizing. Sony is as much a Hollywood hitmaker as a Japanese manufacturer, and Mitsubishi Motors, Mazda, and Nissan have all had tie-ups with foreign companies through the years. In the early part of the last decade, particularly under the maverick administration of celebrity prime minister Junichiro Koizumi, Japan made fleeting attempts to promote itself as the land of the new new thing: nano-this, bio-that. Nothing stuck. There is still no Japanese Google. So Toyota remained special, the largest and virtually the last remaining face of Japanese manufacturing and trading prowess. With $263 billion in sales last year it remains Japan’s biggest company by far and the world’s largest auto manufacturer. But the recall has now exposed problems there, too. Like many Japanese companies, even global ones, it has suffered from an insularity and parochialism, and a hierarchical structure that discouraged innovation or input from others. Robert Dujarric of Temple University–Japan says that most of the core management team is Japanese, and the company’s suppliers are part of Toyota’s vertical structure, limiting contact with outsiders. The public-relations response has been plagued by Japanese cultural tendencies to dodge controversy and conflict, even to the point of denying glaringly dangerous problems, like sticking accelerating pedals. Toyota’s fall from grace caps a 20-year economic malaise that is infecting the popular culture, manifesting itself in a preference for staying home, avoiding risk, and removing oneself from the hierarchical system. A generation of people in their 30s and 40s—the prime working and family-raising years—are said to be unwilling to take any risk, no matter how small. Sugomori (nesting) people spend their days seeking bargains online. With wages declining, soshoku-kei danshi (grass-eating men) avoid going out or trying to find a career for themselves. According to some surveys, this generation has reported preferences for avoiding cars, motorcycles, and even spicy food. Entrepreneurship is seen as an unpromising career prospect. Estimates of the number of hikikomori (shut-ins who have given up on social life) have risen. Japanese psychologist Tamaki Saito, the foremost authority on the trend, speculated in 1998 that the number of such Japanese could be 1 million; last month authorities said it may be as high as 3.6 million. The country’s suicide rate—more than 30,000 per year for 12 years—is double that of the United States and second only to Russia among the G8 nations, and getting worse. This all has dire economic effects. Low birth rates and out-migration patterns mean the country’s population is predicted to fall from 127 million to 95 million by 2050, creating unparalleled demographic pressures. A shrinking, bargain-hunting, risk-averse population translates into a deflationary spiral, low wage growth, and decreased tax revenues. Japan’s debt is now more than twice GDP, by far the highest rate of any industrialized nation. In a March piece entitled “Japan’s Slow-Motion Crisis,” Kenneth Rogoff, the former chief economist at the International Monetary Fund, wrote that Japan was “a poster child for economic stagnation,” noting its “legendary” inefficiencies in agriculture, retail, and government. His conclusion: Japan’s fiscal situation grows more alarming by the day. The stock market stands at a quarter of its 1989 high, and now Toyota’s stock has fallen 20 percent since the recalls began. The optimistic view is that Toyota’s travails will spur Japan, finally, to become less insular and more open to new ideas. Initially, many in Japan denied the problem, called the controversy an American overreaction, and concocted conspiracy theories about the U.S. government or unions sabotaging Toyota cars to boost sales of the government-supported General Motors. Now, however, the Hatoyama administration is moving to push change on Toyota in ways its business-friendly predecessors in the LDP never would have, says Jeff Kingston, a professor of Asian studies at Temple University–Japan. Transport Minister Seiji Maehara has “not missed a chance to berate Toyota,” accusing it of failing to listen to customer complaints, says Kingston. The mainstream media have also taken off the gloves, he notes, with some of the biggest newspapers saying that Toyota has embarrassed Japan in the world, and that Toyota must regain the trust of its customers. The less rosy scenario is that Japan will respond to this humiliation by retreating deeper into its shell. Since Koizumi’s term ended in September 2006, three prime ministers have had to step down within a year. The elite now understands the problems Japan faces, but the cultural shift required to confront them may just be too great, says Edward Lincoln, a New York University Japan scholar. Rather than, for example, competing with China for the leadership role in Asia, it is quite likely that the Japanese will cede that ground while feeling sorry for themselves, says Lincoln. In other words, Japan will continue to give up, fade away, and blame its limitations on demographics and the changing international balance of power. In this bleak view, the Japanese will return to their mantra of shoganai (nothing can be done). Indeed, it seems that Japan’s long decline may not be accelerating, but the prevailing sentiment is that nothing can be done to apply the brakes. Stewart is Program Director and Senior Fellow at the Carnegie Council for Ethics in International Affairs. COMMENT FROM DEBITO: I think the article is focussing overmuch on the symbolism of one company and one economic sector representing economic superpowerdom (imagine if people were to talk about the faltering of GM and make the case that America was coming to an end as we know it). Granted, I think Japan is in relative regional decline (as I think America is in relative world decline; but that was inevitable as other countries get rich and develop). Sorry to sound like a “State of the Union” speech, but I think Japan’s fundamentals are at the moment still relatively strong. Moreover, seeing the world from the view of capitalism’s obsessive need for perpetual growth is bound to cause a degree of disappointment, as economies mature (or in Japan’s case, age) and offer diminishing marginal returns, while growing economies appear ascendant. Whether that becomes “triumphalism” (if not a bit of schadenfreude, for those with long memories of having to eat crow during Japan’s seemingly-invulnerable Bubble Years) depends on your columnist. I do agree that Japan is retreating into a shell, however, but I’m not sure which is worse — the racially-based arrogance we saw in Japan during the bubble years, or the racially-based defensiveness we see now. PS: At least can we learn, after all these years, how to properly transliterate “shiyou ga nai”?!? the shocking part of this story is that japan has double the suicide rate as america. this tell me that someting is not right over here. He lasted 9 paragraphs, but still couldn’t resist that joke. I think the conclusions in the article are a bit extreme, or rather at least not directly related to Toyota. It’s still too early to tell either way. The article is just the latest in a series of jabs that make a big deal out of a minor problem in order to attack Japan inc and get people to buy American. Welcome to propaganda protectionism, America. Not that Japan is any better, but keep in mind when you read these articles what the interests of the US government and press organizations dependent on the gov for information are. Their biased reports get taken as fact by credulous writers, feed off each other, aquire a life of their own, and suddenly a country with the best employment recovery in the developed world is 3 weeks from becoming North Korea. What a crock. This is why I try not to read editorials. I have read a lot of articles inaccurately depicting Japan’s economy, but this takes the cake: worst ever. That is the natural result, since it is an uncritical recitation of prior exaggerations with extra idiocy thrown in. The Newsweek author is trying to throw in the kitchen sink of Japanese cultural phenomena. Suicide has been in that range for 15 years now….grass eating boys don’t have anything to do specifically with staying home and being afraid to spend money as your bonus (deferred salary) -which represents about 100% of disposable income for some people- disappears. The shut in situation reflects a modern city where artificial experiences (manga, videogames, host/hostess/DH stuff) are more dominant than nature and human interaction. I see where he wants to convey a number of cultural facets while describing the economic decline. However, it needs a lot more explanation to really represent the links between all these cultural propensities he puts forth. Could have been a problem of the editor needing less space from the article….. I agree that the article’s tone is a bit fatalistic—Hatoyama’s numbers are only low because of the LDP’s medial blitzkrieg regarding money problems in the Hatoyama administration (talk about the pot calling the kettle black) and his big international splash was actually proposing a reduction of CO2 emissions by 25% when everyone else was still thinking something in the high “teens.” It his, however, a viewpoint from someone on the outside, looking at a glaring zit on the face of Japan’s once proud industrial face. And while I agree with Debito that Japan’s fundamentals are solid, I have to concede to the article’s final paragraph that there seems to be a greater sense in society of “returning to the way things were” rather than evolving to meet future challenges; that the necessary steps in “fixing” Japan is too hard, too “un-Japanese” for too many that falling back on old behaviors made stronger with government support is the better way to go. Japanese may think the country is not headed in the right direction, but I am sure a good majority of them are scared more of where the country needs to go. Afterall, conceptualizing all types of “不安” and “安心” is practically a national pastime. I find it sadly ironic that after this Toyota debacle, another sign of Japan’s inability to deal with problems until it becomes the proverbial 100 pound gorilla sitting in room came to light over the weekend with the news that Princess Aiko has been bullied at her school. Hmmm. Don’t we all remember the bullying problem that erupted in the media a few years ago? The one that revealed the Education Ministry reporting zero bullying incidents every year? I never heard about anyone proposing tougher laws, granting schools more legal framework to deal with bullies and their even more monstrous parents, etc. Now, the iconic princess of the country has been bullied, forced to miss school because she thinks: “学校は怖い” (school is scary). Japan? What do you intend to do about this and every problem facing you? Or is this, too, [shiyou ga nai]?? I feel that is on the money. I feel that far too many people of all ages in Japan care little about what is going on in their country and would rather continue their lives in ignorance. Problems are solved by people taking action. Sadly the the current administration has yet to do bold actions to fix Japan’s slump. In regards to your PS, they aren’t transliterating “shiyou ga nai.” They’re translitering “しょうがない”, the varation that is very much in common use. — No. 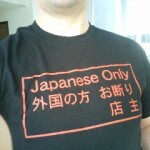 The Japanese is 仕様がない。Look it up. As a Russian, I have stopped reading this article after “According to a 2008 Pew survey, Japanese were more dissatisfied with the direction of their country than almost any other nation, including Pakistan and Russia”. Comparing Pakistan with Russia in this context is so idiotic that the author of the article immediately lost all credibility with me. On any other subject as well. I know this particular article was about Japan, but I should probably look for another author to read. As a person involved with reliability and working for a high-tech US company, I can say I would still buy Toyota car over almost any other. Problems with mass-produced products happen all the time, recalls are not unusual. Great companies like Toyota will take corrective actions and continue making great products. No need to make sweeping conclusions about both the company and the country. I made sure to look it up before posting. 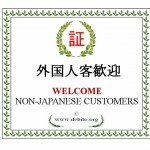 しょうがない is a variation with the same meaning as 仕様がない. The author of the article was probably transliterating the former. — Let’s get beyond childish manga Japanese if we’re being published in a respected international forum and citing the native tongue. Are we going to use “-jan” next? Or are we going to say “ain’t got none” etc. 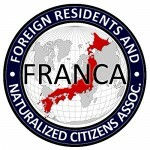 next in major domestic Japanese arenas citing the English language? It delegitimizes the speaker’s tone and credibility immensely. Enough on this. Point made. Back on topic. I disgaree. I concede that it is focusing upon one company, but, all companies pretty much follow the same managment structure and behaviour as Toyota. Ergo, the one company debate can be eqauted to Japan, per se, as a whole. Sticking ones head in the sand, has become the norm here. I too fear this shall be the response. 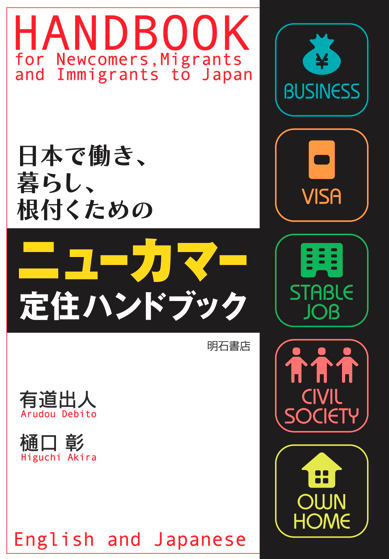 Where are all those LDP members wanting their Unique Culture to be saved? ?..Toyota is Japan! !..where are the modern day Shoguns/Samurai to fight for their honour???…pathetic. They talk about keeping Japan, Japanese, but they are all too weak to behave like the ancestors would have done….they should fall on their swords….oh, can’t do that…either!…hopeless. I have comment several times over the past few years; If Japan doesn’t change its ways, it will be no more important than the Philippines is today. This artcle is in some ways a vindication of my own thoughts on the matter. He uses Toyota as his kind of capstone to his argument or a symbol for all of Japan. But what if the problem with Toyota was really other than what it seemed? That section has continued to *grow* and is particularly impressive if you follow the links to the individual articles cited. If I’m reading things correctly, the specialized media is saying the mass media totally messed up here. Regarding the article itself, as I mentioned elsewhere, given America relies on Japan heavily to finance it’s own out of control spending and ever growing debt, this article is a bit like the pot calling the kettle black. not the number of vehicles recalled. Totally agree with you Bob, (No.3).